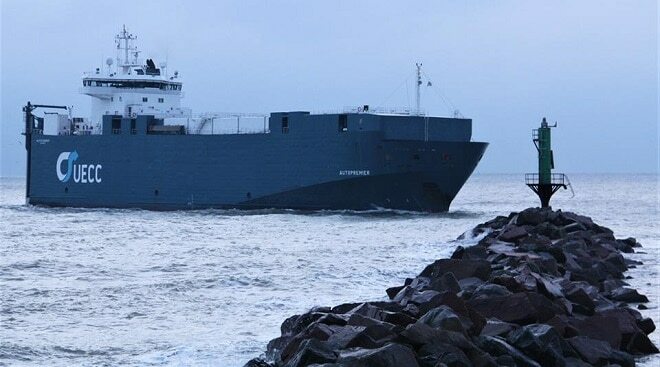 A further car shipment, of between 700 and 1,200 vehicles, arrived in Ramsgate this morning (February 2). 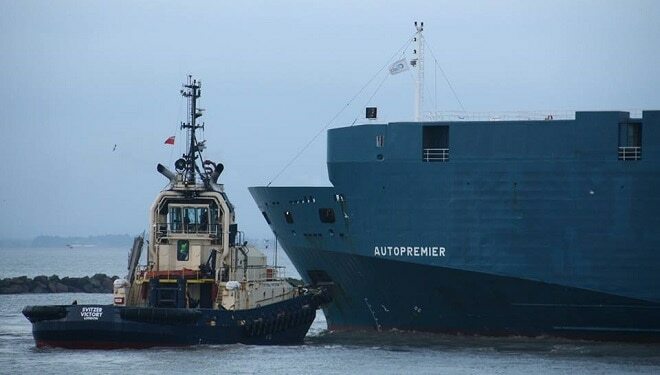 Vessel Autopremier travelled from Zeebrugge and was assisted into port by Sheerness tug Svitzer Victory. The ad-hoc shipments provide income for the port which has losses of £20million since 2010, according to Thanet council’s statement of accounts for each financial year from 2010/11 to 2017/18. The figures exclude £5million in live export compensation and £3.4million for bankrupt TransEuropa Ferries unpaid fees and charges. The 2017/18 accounts for the port include an entry of £37,757.90 income for port stevedoring. In the 2017/18 financial year expenditure included £51,722.40 on consultancy charges; £194,353.96 on security and £500,000 on grants/subscriptions. Other income included £63,269.75 from aggregates port fees and £42,991.72 from vessels/tugboats. 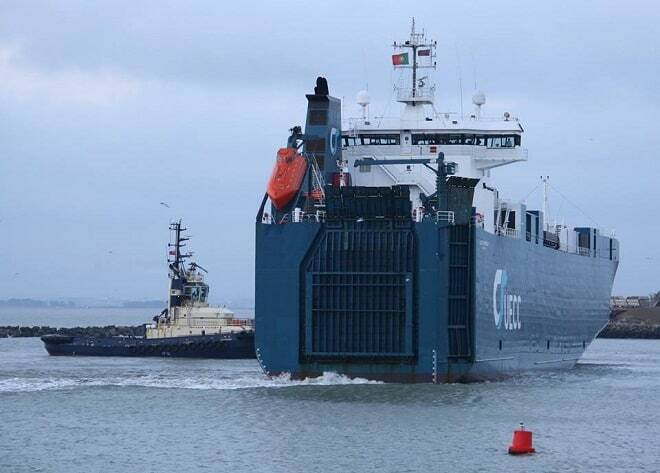 The delivery is through transport and logistics company GEFCO UK Ltd, which previously had a deal with Thanet council for use of the port between January 2016-January 2017. Agency workers from HRGO unload the vehicles. 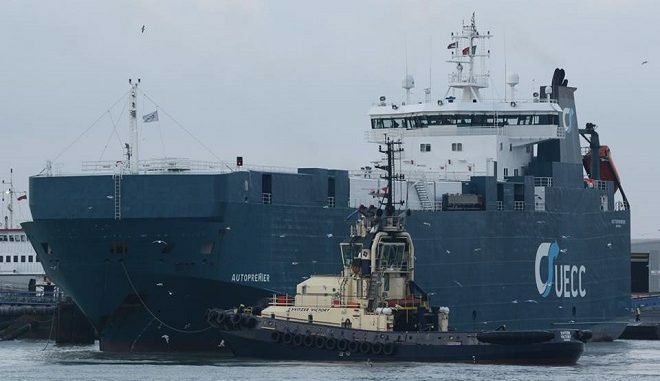 The port has been earmarked as a base for ‘post-Brexit’ extra ferry capacity with Seaborne Freight’s proposed service to Ostend. Today all four berths in the Port are being used by’Excalibur’ jack up barge on No.1, Autopremier on No.2, Livestock carrier Joline on No.3 and aggregates carrier Neptune in the gravel berth. Last month Cabinet members at Thanet District Council agreed a draft budget for 2019-20 which includes axing £630,000 – or £730,000 for a full year – from spending at Ramsgate Port. The figure includes £500,000 that was spent last year to keep the port in a state of readiness for a ferry service. If a deal with Seaborne is not signed by February 7, when full council is due to agree the 2019-20 budget, the port will be stood down rather than spending a similar sum this coming year. Good more cars the better. Great to see all four Port Ramsgate births being used , Shame its not more often to bring more money in to the port.